Say goodbye to spreadsheets and manual drawings which are, at best, inefficient and outdated. Device42 auto-generates accurate infrastructure and inter-dependencies diagrams making data center management faster, easier, and accurate. Access real-time data to understand how the data center is configured, where resources are assigned, and how those resources are being consumed. 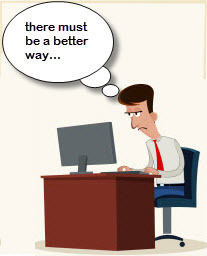 Increase data center staff productivity by minimizing data entry tasks and by eliminating low value data entry, IT staff can spend more time on high value business initiatives. The next time a data center emergency arises, save the day in style! 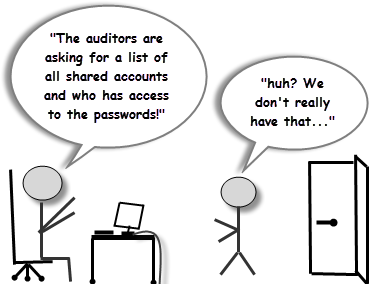 And yes…keep the auditors happy, happy, happy! 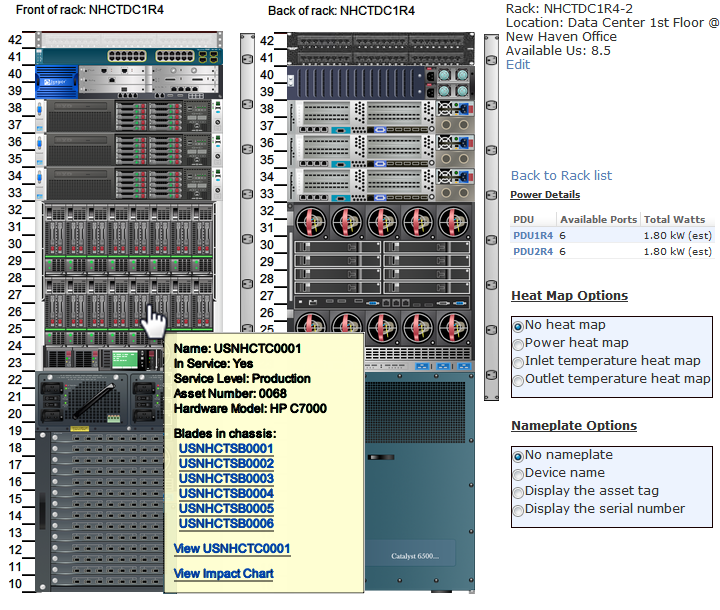 Visually see devices in rack exactly how they look in real life and click on device to get detailed info. Automatically generated from device details. 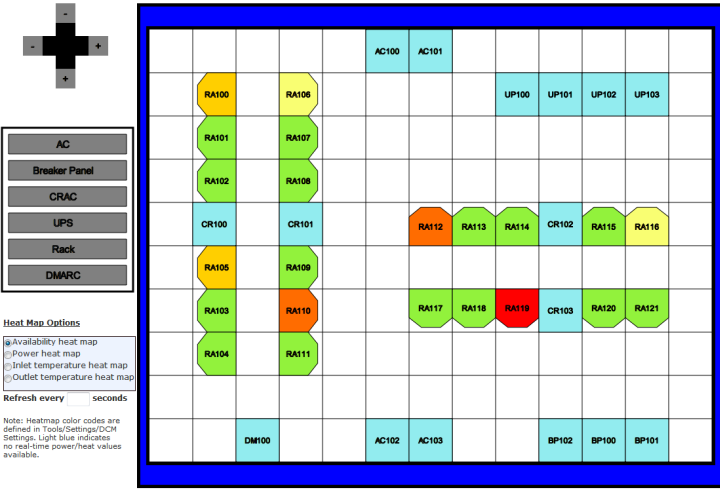 Visual room layout. Heat Maps based on available Us. 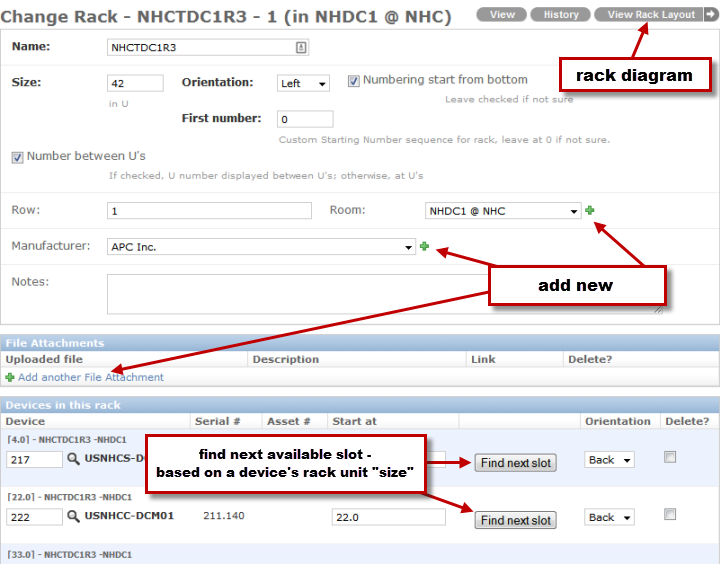 Hover over to see rack/object details. Easy drag and drop right in your browser. Simple way to manage your patch panel connectivity. 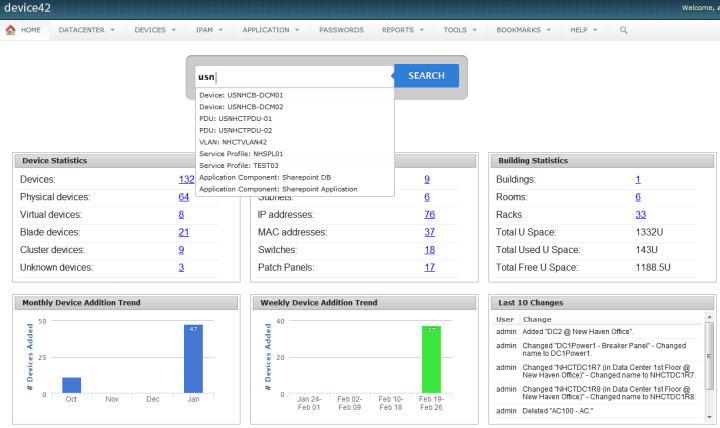 Use APIs, UI to quickly bring your patch panel documentation under control. Visualize your cable management. Super easy search from the dashboard for any object using partial or full strings. 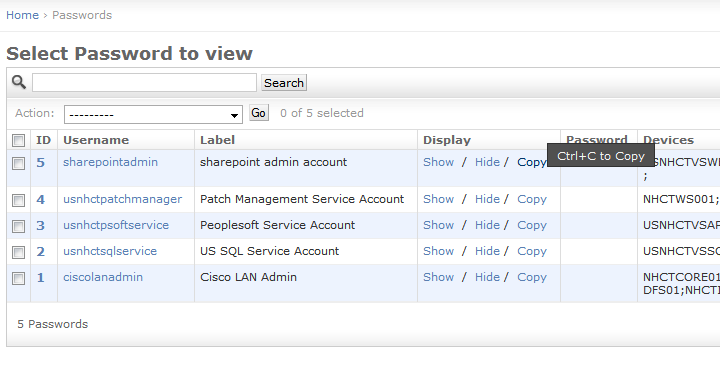 Searches through all the objects and creates listing for all categories based on permissions. Custom values included in search. 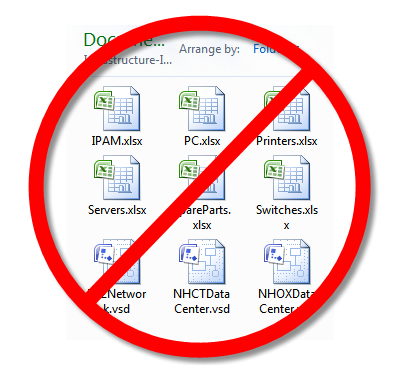 Document physical, virtual, blade, clustered, switches or any other device types. Record any properties. Asset lifecycle management. Custom key pair values. 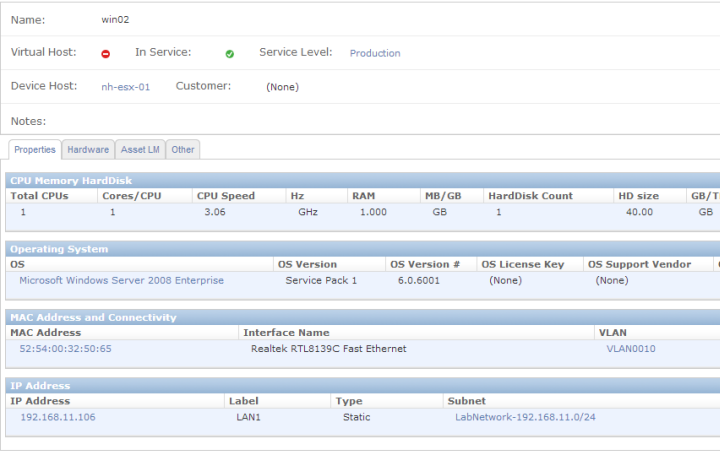 Integrated with built-in IPAM. Easy multi-edit data entry. e.g. 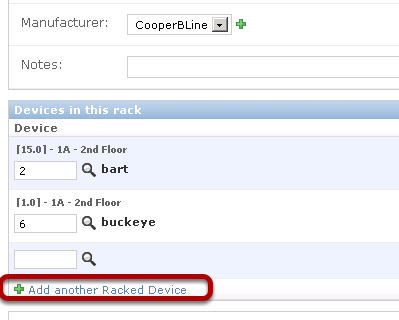 you can add all devices in a rack while editing the rack in easy multi-entry form or while adding IPs for a device, you can open a new tab from same place to see IPs being used in that subnet. 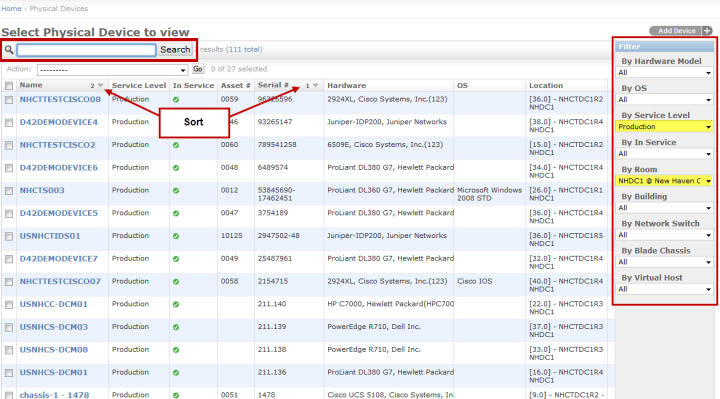 Easily search, sort and multi filter for any list whether it is device, IP address, Hardware models, Switch Ports etc. e.g. Filter all devices with a certain hardware, certain OS in a specific location. 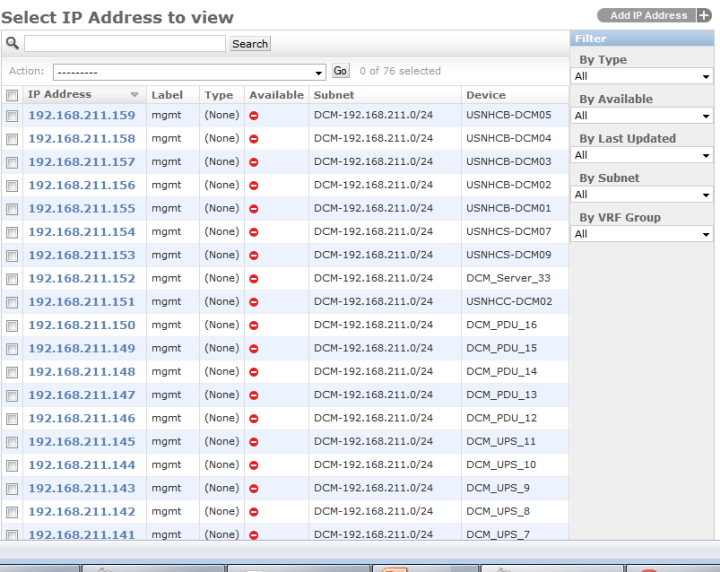 Network auto-discovery using SNMP. Also the Software lets you use your favorite scripting platforms to create and keep your documentation up-to date using APIs. Sortable, searchable and filterable audit log of the changes being made by all the Administrators. Sort IPs, easy search, filter by subnets. Support for IPv6. Add detailed info for VLANs and subnets. Subnet ranges can be automatically calculated based on mask and IP validation done. 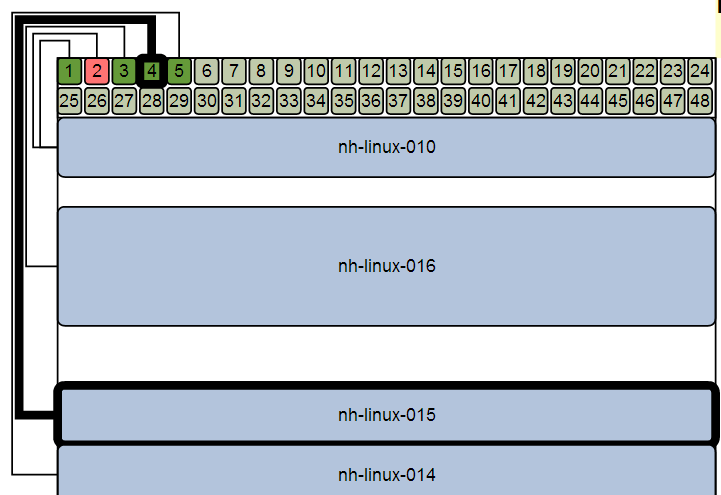 What MAC address is connected to what switch port and belongs to which device. 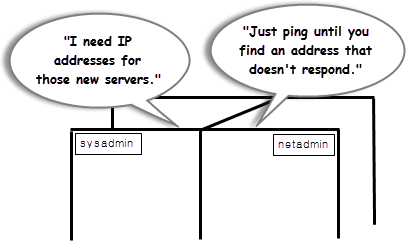 Define and see what IPs are mapped(NAT) on firewall/router/load balancer etc. 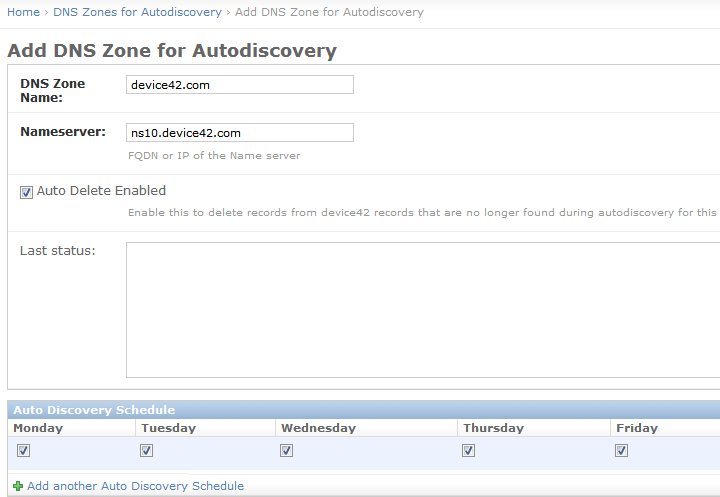 Just allow domain transfers from your DNS servers, schedule the auto-discovery and easily search and filter DNS records. Support for A, AAAA, CNAME, MX & PTR records. 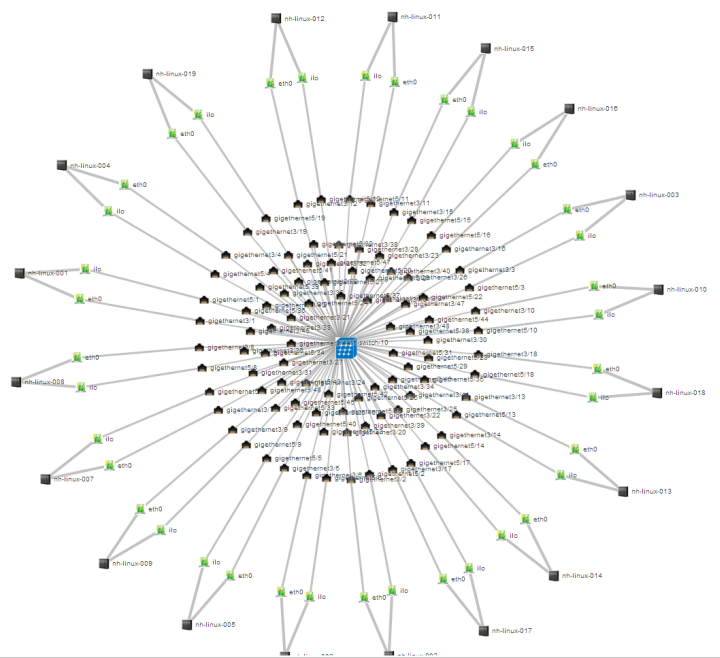 Automatically generate dependency and impact visuals once you define Application components from bottom up. 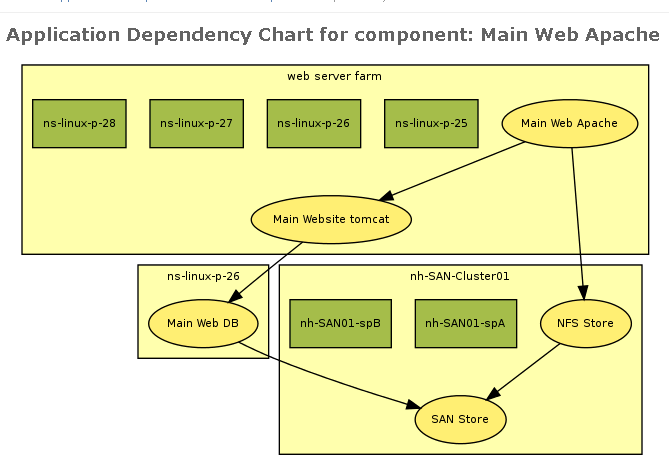 Visualize inter-dependencies and even load balanced services. 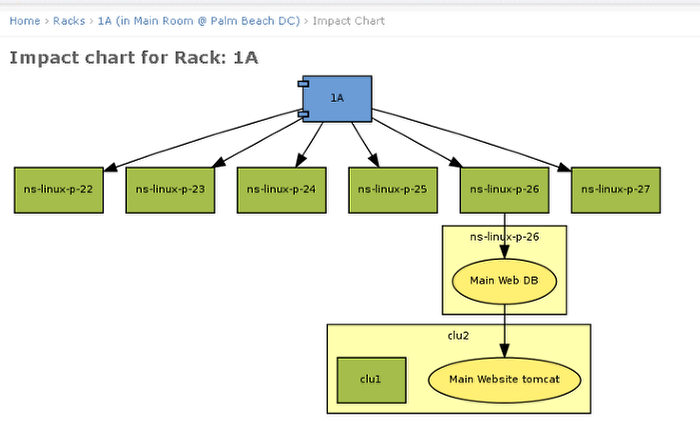 You can see impact from application, device, rack, room or building level. Impress your boss with the visuals or free beer on us*. Define who can see what. You can get granular with individual and/or group level permissions and define who can view/edit/add/delete what resources. 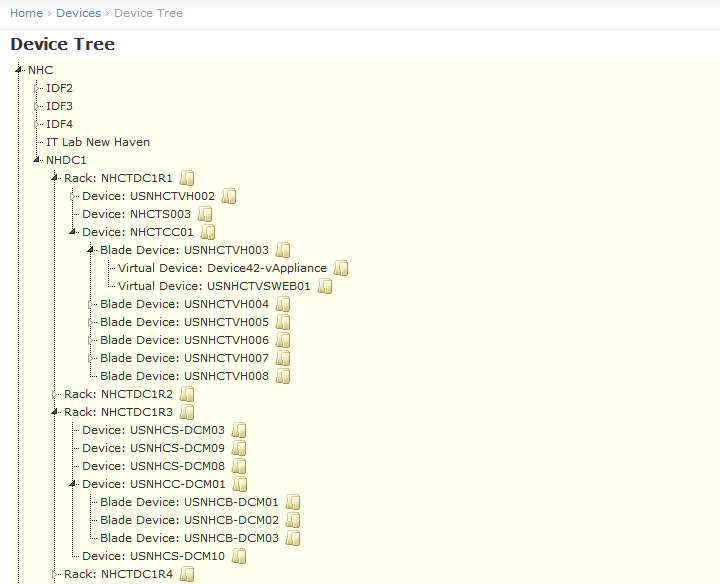 Expandable device tree, see all devices in a rack, virtuals in a physical, blades in a chassis etc. virtuals in blades. No lock in. Export your data anytime! Create excel Reports of your data. 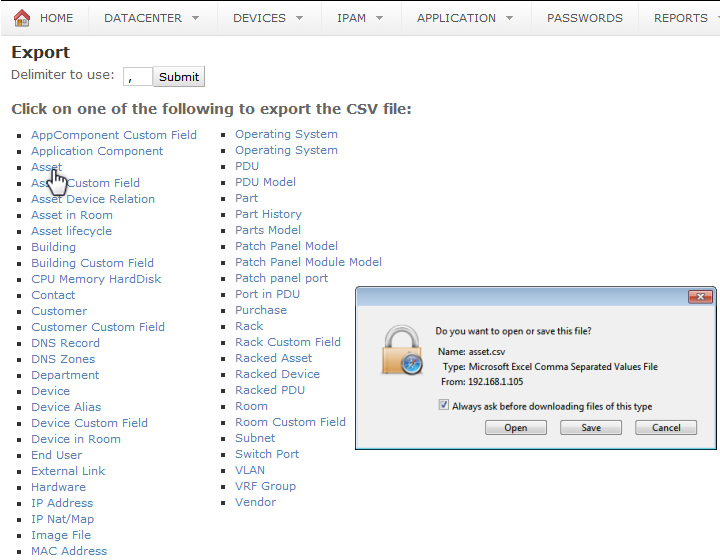 CSV files can be generated containing related columns for each resource. 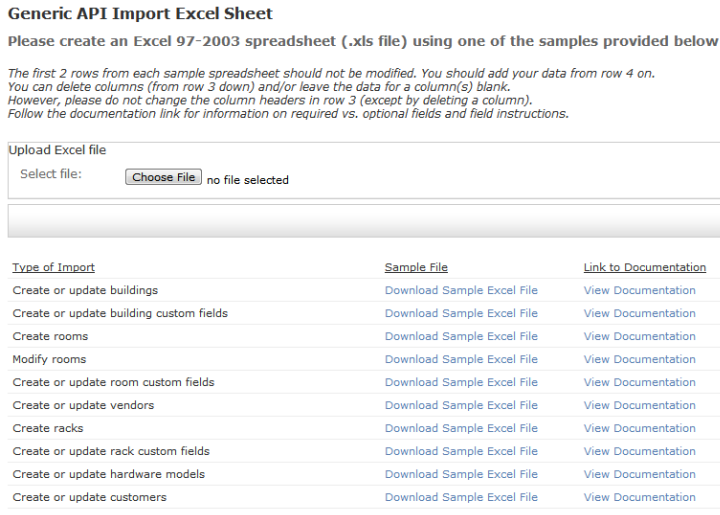 Import IP Addresses from existing or new Excel files. 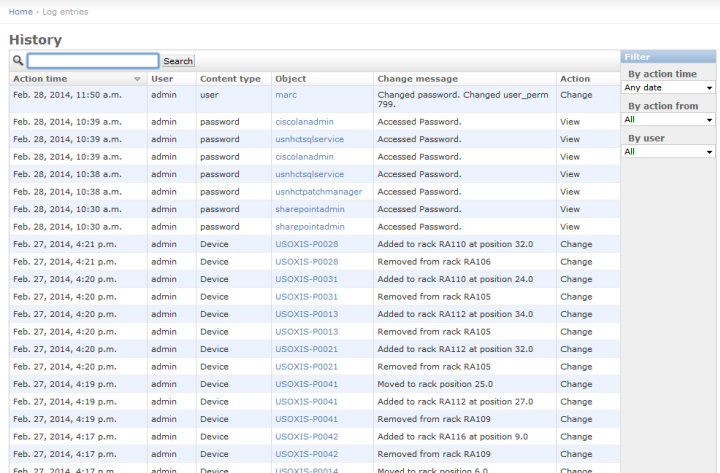 And easily add devices using device import with columns like name, serial, mac, asset number etc. Password store with granular permission control. Passwords are stored encrypted(AES256) and sent to the backup file encrypted. With full audit trail for password access. 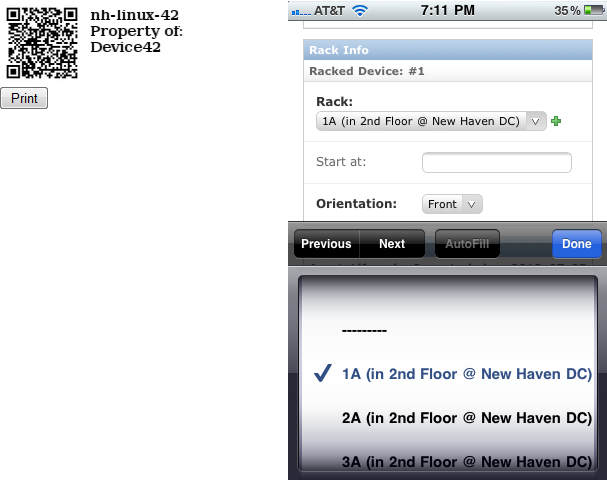 Print customizable QR codes and manage your IT assets and inventory from mobile devices. Auto assign asset numbers and bulk print asset labels with embedded QR codes. Open APIs to automate your IT Infrastructure management. 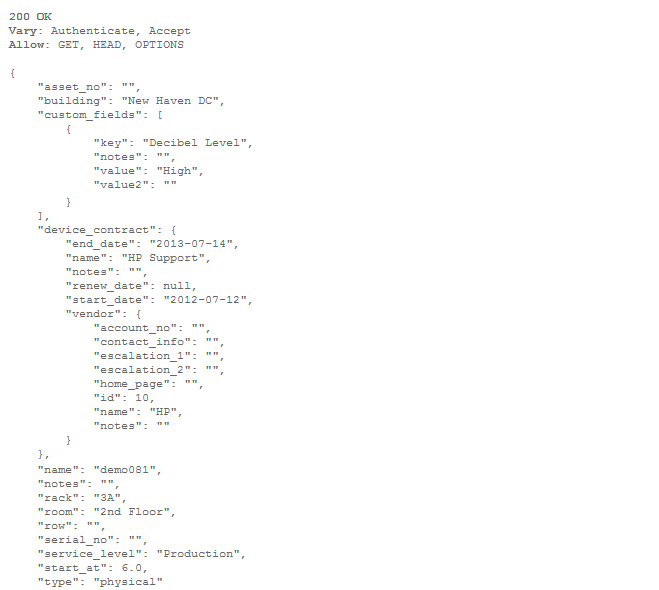 Easily integrate with other systems using RESTful APIs.